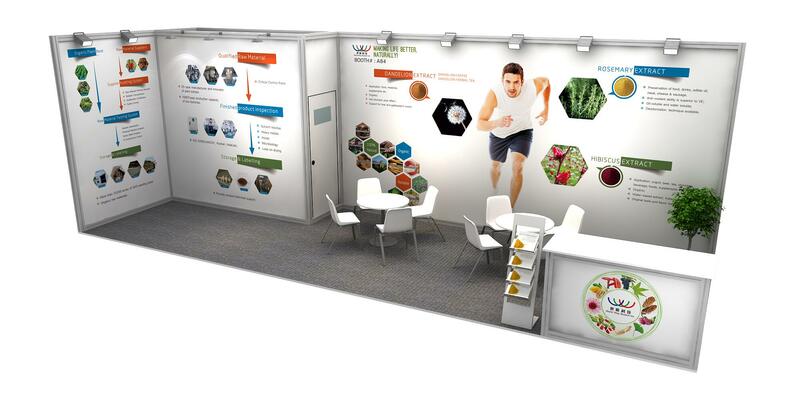 Hibiscus extract,Dandelion extract,Rosemary extract,red clover extract;,World-Way team will participate the VITAFOODS EUROE exhibition-World-Way Biotech Inc.
World-Way team will participate the VITAFOODS EUROPE exhibition on May 7th to May 9th 2019 in Switzerland. We will be presenting our latest developed product Hibiscus extract, Dandelion extract, and Rosemary extract as well as our classic products red clover extract, ginseng extract, Reishi mushroom extract, Giant knotweed extract, Grape Vine extract, and Sweet extract etc. in the exhibition. Looking forward to your presence at our stand A64.